Ethan Allen furniture company was started in the 1930s and is the namesake for the Revolutionary War hero. The furniture has been an icon of quality furniture and maintains that reputation to this day. The demand for Ethan Allen furniture creates a viable and long-enduring resell market for individuals and used furniture/antique dealers. Before setting out to shop, there are a few things you need to consider. Ethan Allen furniture is distinguishable by the company stamp that bears the name of the manufacturing arm of the company and can be found on the back or bottom of furniture pieces and drawers. The other identifier is the serial code or number. This is can be easily deciphered once you know what each series represents. 28-0968: Date it came off the assembly line - the first two numbers are the Plant # 2 and the day of the month - 8th the rest is read as month and year. So in this example, this fictional piece of furniture would have been manufactured at Plant #2 and finished on September 8, 1968. Upholstered furniture will bear an Ethan Allen logo label. While this is a good guide, there have been so many changes in the company over the years, the best way to use the numbers is to call Ethan Allen customer service at 1 (888) 324-3571 and ask if they can indentify the label. You can find some great deals for high-quality furniture made by Ethan Allen. 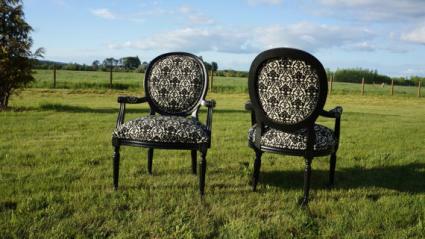 Some of the more vintage upholstery pieces have been reupholstered. Some owners have returned to Ethan Allen (EA) stores to have their furniture reupholstered, and these pieces should bear the company label and logo. Ask before buying if the furniture has been reupholstered and get details on who, what, when and where if you want an authentically upholstered EA piece of furniture. Their furniture maintains its value due to the quality workmanship and the name. Depending on the condition, age, collection and style of the furniture, you can save between 30% to 75% by purchasing used and vintage pieces. You can find Ethan Allen furniture for resale online, at local flea markets, garage sales, furniture consignment shops, antique stores and used furniture stores. Antique Auction Now is a gateway website that is easy to use and crawls the Internet to find what you enter in the search field. You can find quite a few nice surprises on Craigslist. Like anything else you might be interested in buying, ask for photos and details. If buying local, then you can usually examine the furniture before purchasing. However, if you're buying and will be assuming shipping costs, ask for photos for any Ethan Allen stamps, serial numbers and labels. 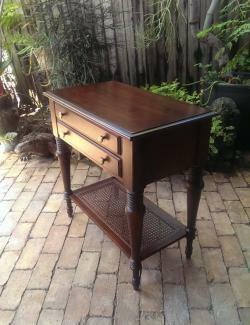 Many pieces of furniture sold on Craigslist are offered by antique or used furniture dealers. If you're selling EA furniture, be sure to check what your competition is selling so you don't over or underprice. With many pages of used Ethan Allen furniture, eBay is one of the premium sites for finding some quality pieces at excellent prices. Sellers have a built-in market and can take advantage of a highly sought after product. A large collection of used furniture can be found on Etsy. The furniture pieces range from upholstered to solid wood tables, chairs and beds. It's easy to set up an account to sell on Etsy and is a great venue for sellers as well. Social media can deliver quite a few used furniture dealers that you can scan for possible EA finds. Add to your RSS or Twitter feed and stay updated on what's available. Those selling used furniture as a hobby or business can create accounts to sell EA furniture and establish your branding online. Another clearinghouse, The Thrift Shopper, only lists thrift shops and consignment stores with a charity affiliation. Search their database for EA pieces at stores that help support a non-profit organization. The Used Furniture Stores website is a clearinghouse that is broken down by states. Select the state you want and then the nearest town from the list. This will pull up a listing of the furniture stores along with their addresses. This may take a phone call to see if the store owner has any Ethan Allen furniture, but is a great tool for identifying local used furniture stores. There is a growing market for used Ethan Allen furniture. People will overlook a few dings and basic wear, but you want the furniture you offer for sale to look like the quality furniture that is Ethan Allen. In a slow economy, people will turn to used furniture to help defray the cost of buying quality furniture. This manufacture's furniture is viewed as a smart investment in furniture choices. There has always been a market for EA furniture, especially among collectors and those who refinish and refurbish furniture. The majority of buyers seeking EA pieces want something they can use immediately, so be selective in what you buy to resell unless you have the skills to refurbish without destroying the collector value of the piece. Capitalize on the EA name of quality furniture in your advertising. Be sure to take photos and display in your ads, all stamps, serial numbers and labels. You can compare prices of other sellers to get an idea what the market will bear. Most auction sites allow either a "buy now" option or a valued pricing that you can use as a guideline when pricing your furniture. Some other areas to visit include furniture forums such as Furniture Owner. This website offers specific forums for buyers and sellers. There is a category just for Ethan Allen furniture. Many of the posts are from buyers seeking specific pieces of collections. This is a good place to see what is popular in some areas and possible being able to find fulfill some of the requests. Patience is your best asset when seeking a specific piece furniture to buy or sell. If you are searching for a popular piece of furniture, it may take longer than you expected to find it. 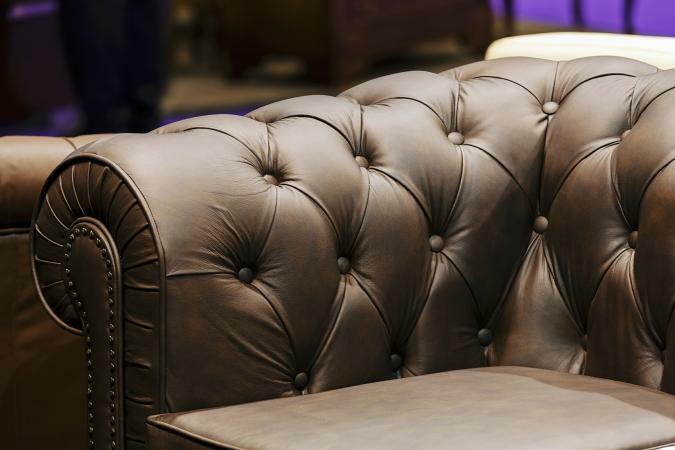 If you're selling furniture, connect with your market in as many venues as possible to ensure you move the furniture in a reasonable amount of time. Ethan Allen furniture can be an excellent investment for both buyers and sellers seeking quality furniture.